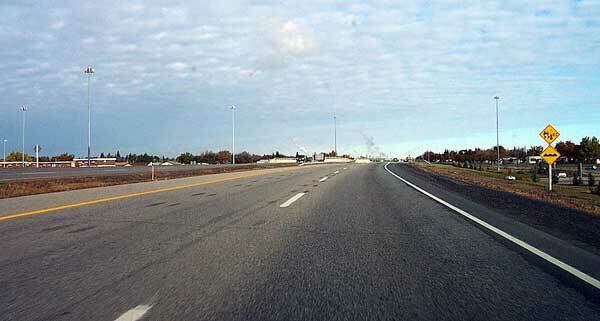 Just North of the interchange. 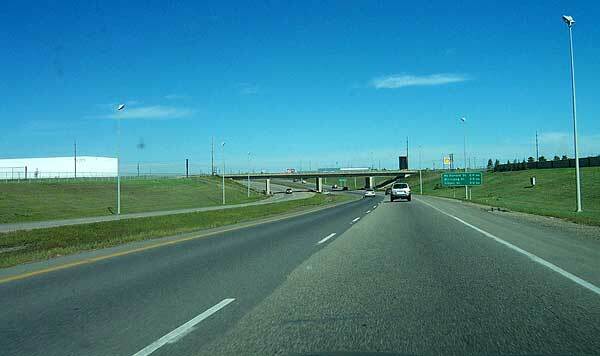 Between Dewdney Ave. and Ross Ave. interchanges. The overpass ahead is the CPR mainline. 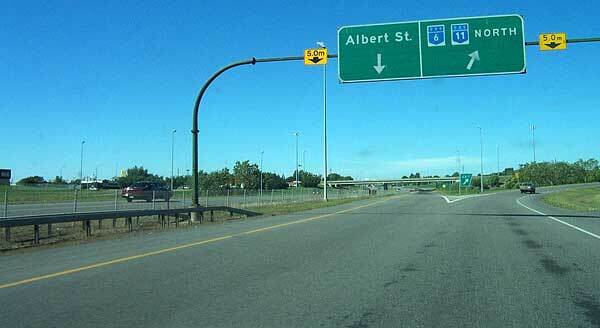 View of the c/d road for the 3/4 cloverleaf at Albert Street. 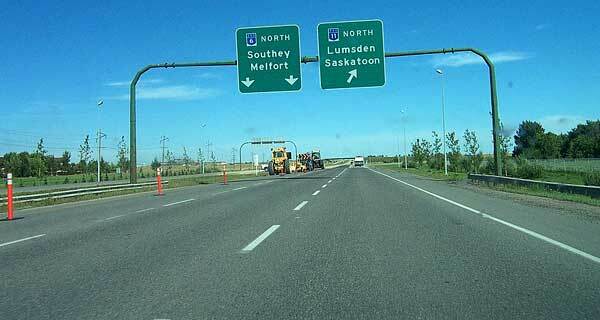 Hwys 11 and 6 exit North here, while the Ring Road continues on. 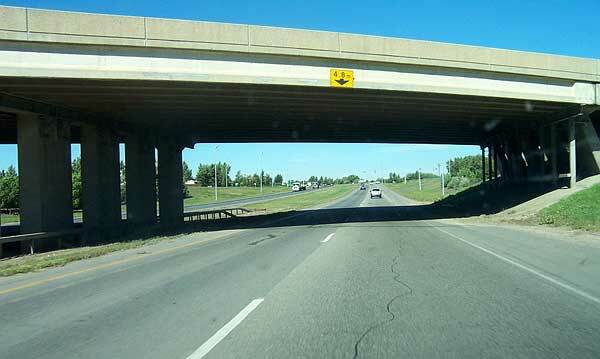 Hwy 11 exits from Hwy 6 at this directional flyover on the north edge of Regina.